I often tell Priscilla that if I leave this mortal coil before her and she's hard up for cash, she can raffle off my record collection on Ebay. Some of the prices people are getting for their old African vinyl are astronomical and mind-boggling. 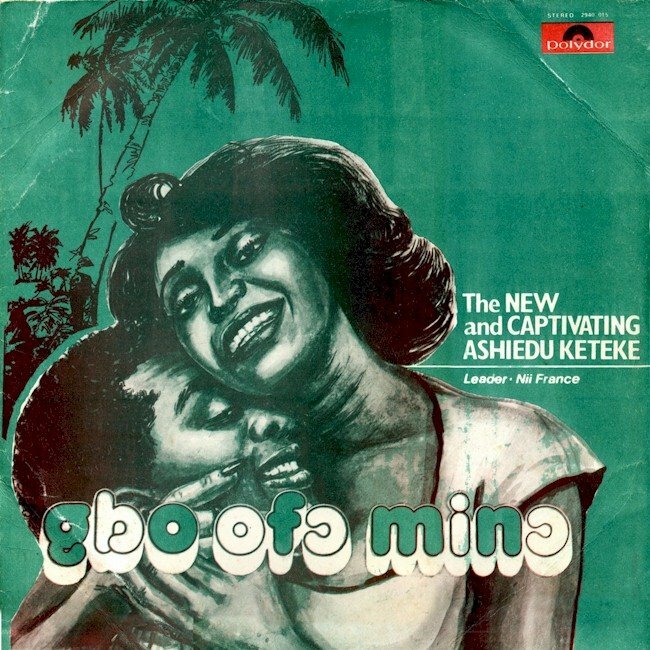 $300 for a scratchy old disco record by Christy Essien-Igbokwe? Come on, people! Some of you may remember the old alt.music.african usegroup back when the internet was first catching on big-time (and is it still around?). I used to be a pretty active participant back around 1998. At one point a record dealer in North Carolina or some place posted a list of some records he wanted to unload. This guy didn't specialize in African music but he had come across about twenty or so primo West African pressings that he was auctioning off to the highest bidder. There were a few Fela records, a couple of Sonny Okosuns, and most intriguingly, a number of LPs labeled "tribal vinyl from Ghana." I hadn't heard of any of the artists mentioned, but the minimum bid was $5, so what did I have to lose? As the auction proceeded over the next week, it became apparent that while there was a healthy interest in the Fela and Okosun records, I was the only person who wanted the Ghanaian LPs, so I obtained these mint-condition pressings for five dollars each! On first listen it was obvious that I had come into possession of some rare gems. These records were in a style about which I had heretofore known very little, "Ga Cultural Highlife," a mainly acoustic, perscussion-based genre described by musicologist John Collins as originating in the early '70s among the Ga people around Ghana's capital city Accra. A record reviewer I read once made a derisive reference to Ghanaian "Jug Band Music." I think she was referring to those Makossa Records pressings that came out in the late '70s (and if you've been collecting for a while, you know what I'm talking about), but the label could more accurately describe these wonderful recordings. Akwwetey Wallas had a peripatetic musical career before founding the Gaamashiebii Cultural Troupe in the mid '70s, starting out in the band led by his brother Oko Jack Bay. 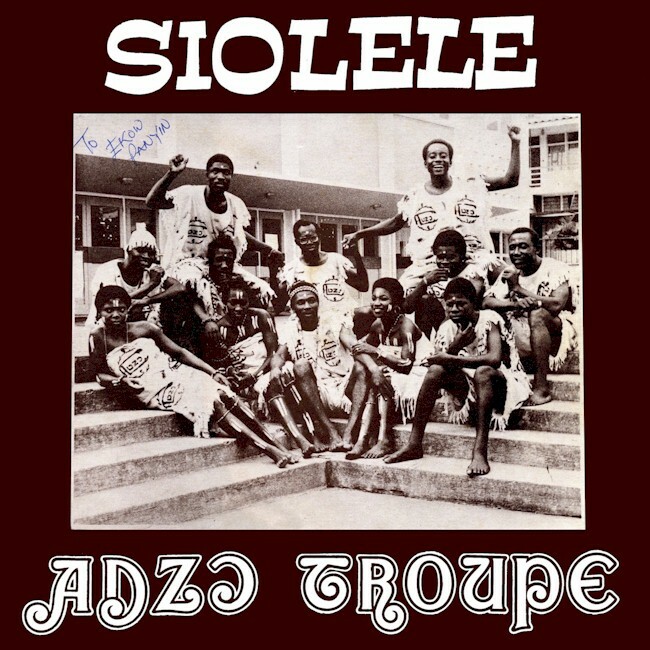 He went on to join the Obadzen Cultural Troupe led by Renaissance man Saka Acquaye. His musical itch then led him to found the Blemabii and Obuabedii Cultural Troupes in quick succession. 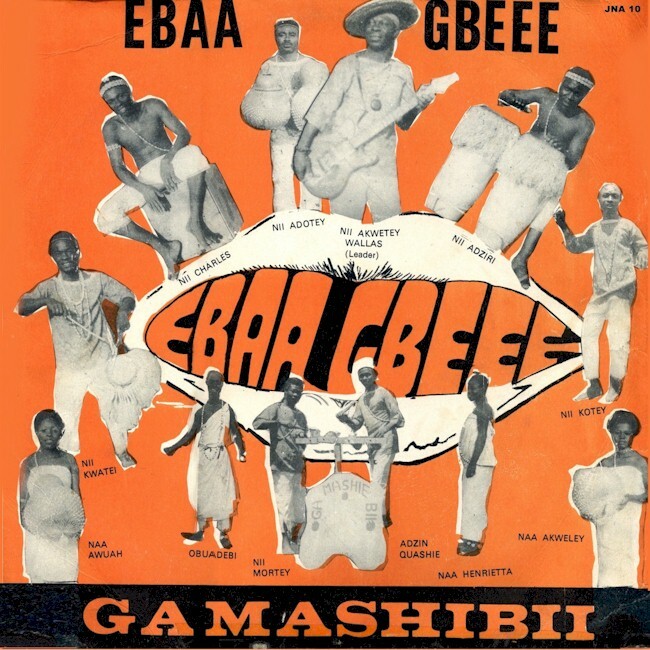 The liner notes of Gamashiebii's debut LP Ebaa Gbeee (Obuoba JNA 10) state,". . . For its twelve months of existence the Gamashibii Cultural Troupe has established itself as one of the best exponents of traditional music and has therefore earned it a participating place in most social activities in the Gamashi area. . . It cannot be gain said that this musical masterpiece will for some time come to liven up many homes." Hear for yourself! 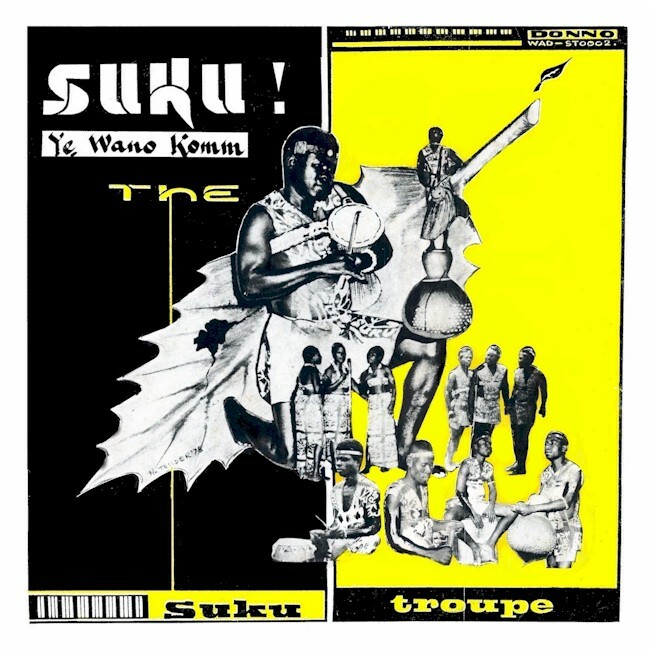 Of all of the groups featured in this posts, Wulomei, led by Nii Tei Ashitey, is the only one that has achieved a measure of fame outside of Ghana. Indeed, the name in practically synonymous with Ga Cultural Highlife. 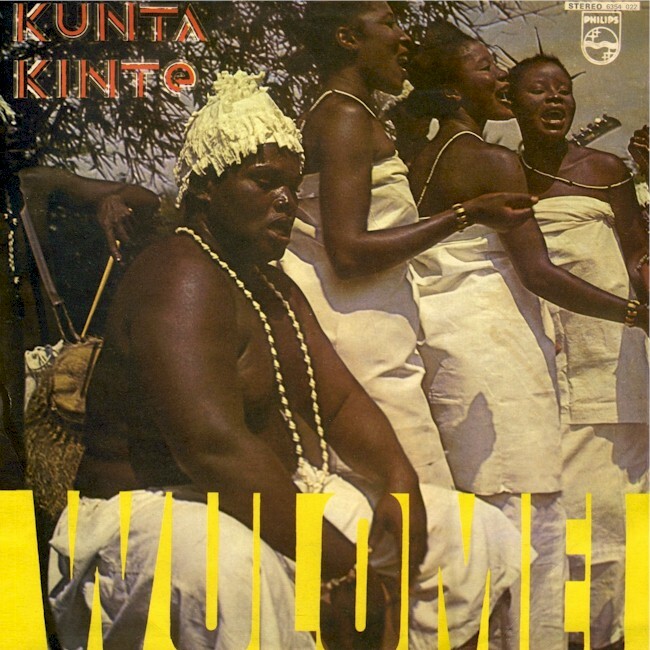 Under the name Sensational Wulomei, the group is still in existence and still perforforming in the Accra area after 36 years. By the way, if you like the music in this post, I can't recommend enough The Guitar and Gun (Sterns Earthworks STEW 50CD), which puts back into circulation John Collins' seminal highlife recordings from the early 80s. It's not all Ga Cultural Highlife, but it's all wonderful.